TitÃ£s are one of the most successful rock bands in Brazil. The best-known line up is the one in the album CabeÃ§a Dinossauro (1986): Nando Reis, Branco Mello, Marcelo Fromer, Arnaldo Antunes, Tony Bellotto, Paulo Miklos, Charles Gavin and SÃ©rgio Britto. Out of these, only Mello, Bellotto, Miklos, Gavin and Britto remained in the band as of today. Soulfly is a heavy metal band formed in 1997 and is led by founder, frontman, songwriter and only constant member Brazilian Max Cavalera, who formed the band after he left influential Brazilian death/thrash band Sepultura in 1996. The band has released six studio albums, one tour EP, several singles, and one DVD video. Soulfly incorporates diverse heavy metal styles with Brazilian tribal music and world music. 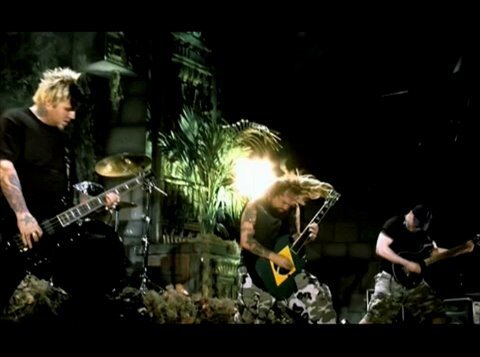 The band has had all six of their studio albums debut on the United States Billboard 200, with a peak position at number 32 with their second album Primitive, and the band’s debut album Soulfly, has been certified gold by the Recording Industry Association of America. Jota Quest is a Brazilian pop rock/funk band. The band was founded in 1995, in Belo Horizonte, Minas Gerais. The band’s original name was Johnny Quest, but due to legal name issues with Hanna-Barbera, they renamed themselves Jota Quest and took the nickname J.Quest to avoid a further name dispute. The band members include: RogÃ©rio Flausino (vocals), Marco TÃºlio (guitar), MÃ¡rcio Buzelin (keyboards), “PJ” -Paulo Roberto Diniz, Jr. (bass) and Paulinho Fonseca(drums). Vanessa da Mata (born on February 10, 1976 in Alto GarÃ§as, Mato Grosso) is a Brazilian MPB singer and songwriter. Her songs Ai, Ai, Ai and Boa Sorte/Good Luck (a duet with Ben Harper) became number-one hits in Brazil. You are currently browsing the Brazilian Music weblog archives for December, 2008.